Provides detailed knowledge of the requirements of the Work at Height Regulations to give an understanding of the different working methods appropriate for different types of work. Detailed information on how to implement a safe system of work for work at height. For managers, supervisors, clients and specifiers. A comprehensive course with lecture sessions and extensive practical experience. A comprehensive course with lecture sessions and extensive practical experience which combines details content of several specialist modules. Provides all-round knowledge of the requirements of the Work at Height Regulations. Designed for managers, supervisors, clients and specifiers who are required to create, implement and maintain a safe system for work at height. Includes Introduction to the Use of Fall Protection Equipment (WAHSA), Introduction to Work at Height with additional material relating to managing work at height, including inspection requirements for PPE, emergency planning and work restraint methods, work positioning and fall arrest. Candidates are able to use their own working environments as a basis for problem solving. 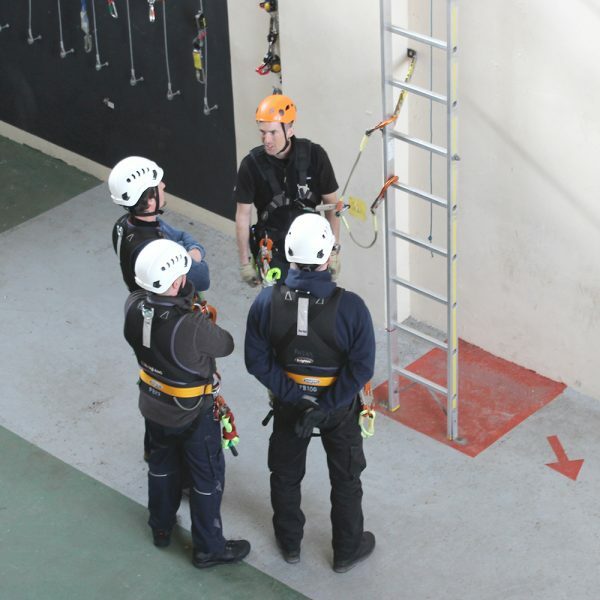 Discusses hierarchy of fall protection in detail, covering temporary and permanent scaffolding, mobile elevated work platforms, collective and individual fall protection equipment and ladders. The course explores the difference between restraint, work positioning, fall arrest and points out critical safety factors in each.